This course is the gold standard of education for emergency medical assessment and treatment. 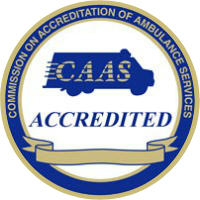 Endorsed by the National Association of EMS Physicians, AMLS emphasizes the use of the AMLS Assessment Pathway, a systematic tool for assessing and managing common medical conditions with urgent accuracy. Students learn to recognize and manage common medical crises through realistic case-based scenarios that challenge students to apply their knowledge to highly critical patients. The course emphasizes the use of scene size-up, history, interactive group discussion on potential treatment strategies, and physical exam to systematically rule out and consider possibilities and probabilities in treating patients’ medical crises.